Simplified All-In-One Energy Sessions with NO LIMITS! No need to figure anything out ahead of time – just get started! Leah has the ability to see and feel what is needed. All I had to do was let her know what I wanted and the work began. Thank you Leah for all your help! Grand solutions come from every direction! Work with the “whole being” first and the issues often disappear! Explore anything about yourself, your Life, Health, Well-being, and the World around you. Evolve Your Life Blueprint, and Discover Your Own Greater Healing. Start with 1 Session of a series of 4 Sessions, Distant or In-Person! My Clients Manifest Brilliant Life Changes! Help for you and your family, your companion animals, and your friends. Get aTune-Up, take a Week of Distant Energy Healing, or an Absentee Session when you are busy. Everyone wants “Someone in Their Corner”. My clients use this during Exams, Meetings, Legal Proceedings, Weddings, Holidays, Family Gatherings. Use before medical or dental procedures to clear underlying energetic issues that may contribute to symptoms. Use during procedure for support. Use afterwards to help recuperative powers. Clear things you own and places you live. Contact deceased loved ones. Remote & Dimensional Viewing, Psychometrics, Guided Imagery & Hypnosis. Energy Medicine & Energy Psychology. Who have you given your power away to? Spouse, Ex-spouse, Co-worker, Boss, Relative? Energetically Untangle Yourself so you can respond to them from a new Safe, Balanced, & Peaceful Space. Ancient Shamanic Practices & Energy Medicine = Powerful Results! With Nutrition, Biology, & Neuroscience! Switch off the cellular death-clock. Up-regulate the energy matrix that informs your body. Create the conditions for health, so that disese goes away,or never happens. – Alberto Villoldo, Ph.D. Turn wounds into sources of wisdom & compassion. Reset fight/flight to feel safe. 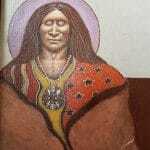 Shamans are the mediators between the physical world and the spiritual world. Get Rid of Discordant Energies and Blocks that prevent you from Manifesting a Joyful, Healthy, and Creative life. Expand your Aura. Activate Your Pineal & Pituitary glands. Reset your DNA energetics. Live From a New Foundation of Love, Creativity, and Right Livelihood. Release life issues, and Raise Your Frequency. Feel more peace and internal quietude, think more clearly, and get where you want in life! Be assured that wherever you start is just right! Our focus is on the underlying cause of your issues by any name. Expand, and manifest your life into possibilities you have yet to imagine! Live from a New Foundation of Well-Being, Love, Creativity, and Right Livelihood! If you feel drawn to work with me, but lack the funds, contact me with your situation. I often work with people that traditional medicine has failed to help so they can return to health and well-being. Many come to me after their funds have been exhausted and I still help them. Please help me go on helping others and continuing my studies here. Energy sessions do not stop when your appointment time ends! The results can continue to unfold and integrate long after your session is over, for hours, days, months, and sometimes even years afterwards. Enjoy looking for the ongoing subtle changes and shifts in your life.